This Rancho Park bungalow had great bones. 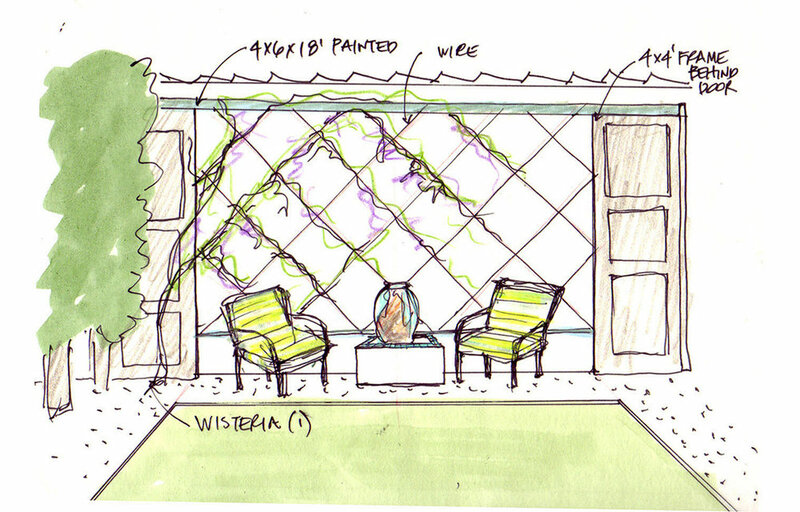 With its mature olive tree, melaleuca, giant euphorbia and towering ficus hedges and citrus trees in the back, we focused on permeability and usability in our design for the front and back yards. 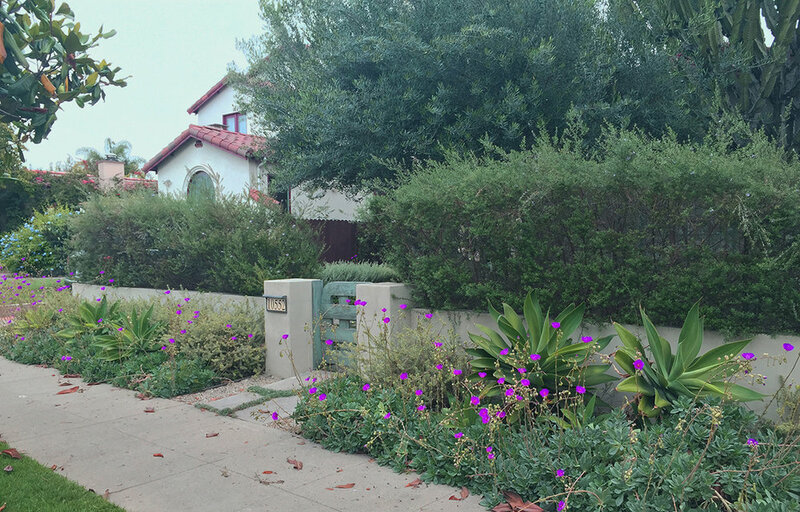 We wanted a low maintenance garden to expand the feel of the limited urban lot. Working with Nakao Construction, we did a complete remodel of the exterior spaces. The entry courtyard integrated a cross-hatched, widened permeable driveway along with a privacy wall, a screen composed of soft native, Mediterranean and Australian plants. In the back yard, the confines of a small space needed to be pet-friendly, so we employed the use of colorful vines, gravel, concrete and a small artificial lawn patch for the owner’s dogs and a fountain for the birds.